The government is considering making hospitals check all patients passport and papers before giving them healthcare, MPs were told yesterday. Jeremy Hunt - rather than working to meet the real challenges of the NHS - is playing the politics of distraction during Autumn Statement week. Hunt’s – and Theresa May’s – preferred side show is tough talk about how they are “determined to stamp out abuse of the system”. Hunt’s most senior civil servant, Chris Wormald, suggested this week that every citizen in England would have to show his or her identity to receive health care, including for emergency and primary care, having broken bones reset, pre-admission stays in intensive care, and rides in ambulances. But as Jonathan Portes of the Institute of Economic Research says, the extent of deliberate health tourism has been “hugely overstated” and is in fact a “very small part of NHS expenditure”. Estimates of the supposed costs of so-called ’health tourism’ vary from under £35m to more than £500m. These sums might sound substantial, but even the higher figure accounts for less than 0.5% of the overall NHS budget. This is a politically motivated move rather than a response to patient needs and human rights. The government – yet again – is running scared of the tabloid press's ability to set the agenda in social policy. There are very small numbers of migrants who come here with pre-existing health conditions and find themselves registering with the health service. There is already a system in place for hospitals to recover the cost of treating patients who are ineligible for NHS care. There is absolutely no data or evidence to support the idea of large numbers of overseas visitors coming to the UK specifically to seek out free treatment. If anything, more people are likely to come to work in the NHS. This proposal is just another in a long line of attempts by government ministers to convince the public that they are “tough on immigration”. But in truth, as BMA Chair Mark Porter told the Today programme this morning, the issue is a “pinprick on top of the actual problems facing the NHS” - and the suggestion of passport control in our hospitals not a “proportionate” response nor one that will solve the NHS’s actual problems. There are also wider implications of seeking identity proof. Timely treatment keeps people out of hospital, stops the spread of infectious diseases such as tuberculosis, and ultimately saves money in future treatment costs. Denying healthcare to people who need it—including pregnant women, torture survivors, and people with communicable diseases—is simply inhumane and unpragmatic. And what of Theresa May’s role in creating this narrative of “health tourism”? As Nick Cohen points out in the Guardian, the “manufactured psuedo-scandal” of “health tourism” was given wings in 2013 by dishonest comments the then Home Secretary made about the “feeling” that such a problem existed. The grubby episode showed “how willing she is to live with lies” in her pursuit of power, Cohen adds. This is of course the same May who, as home secretary, authorised taxpayer-funded vans to tour the streets emblazoned with ‘go home’; who, as home secretary, made up stories about being unable to deport foreign criminals because they had a pet cat. The same Theresa May who, was part of a government that called disabled people on benefits scroungers, shirkers, and skivers. May is the architect of the scheme that forces immigrants who’ve worked and paid taxes in the UK for years to leave if they earn less than £35,000. Who advocates a points-based immigration system that would mean the low-paid migrant workers who form the backbone of the care sector would be denied entry to Britain. Ensuring eligibility for NHS services is always important, but these proposals go much too far. 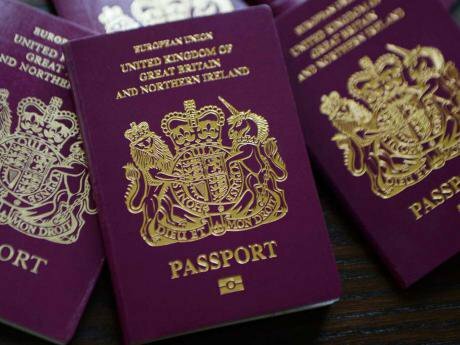 It is unlikely they could ever be turned into a serious policy that would be accepted by patients and the public, that is, howing your passport before undergoing treatment. This proposal is not really about saving money. It is about deflecting the blame for the NHS crisis away from the real challenges of dealing with an NHS beset by funding cuts, demoralised staff, and privatisation. An health and care system where general practice, A&E, public health and social care are all in crisis. Theresa May’s government needs to abandon their dismantling of the NHS and looking for scapegoats to blame, and focus instead on saving it.